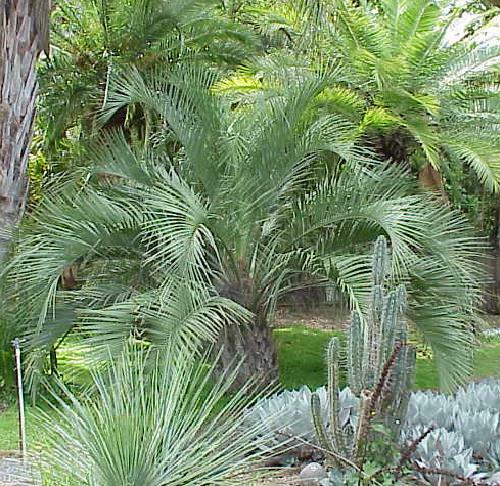 Similar to Butia capitata, but a smaller size. Trunks are usually Subterranean when grown in dry fast draining soil. Specimens planted in soils other than gritty fast draining soils tend to have above ground trunks. Leaves are long and gracefully delicate with color varying from gray to dark green. Very drought tolerant and not affected by heavy winds. Delicious edible fruit, although the seed nut is not edible but used for fish bate in native Paraguay. Natural habitat threatened due to farmland value.